Background (BG) traffic detection is an important task in network traffic analysis and management which helps to improve the QoS and QoE network services. Quickly detecting BG traffic from a huge amount of live traffic travelling in the network is a challenging research topic. This paper proposes a novel approach, namely the periodicity detection map (PDM), to quickly identify BG traffic based on periodicity analysis as BG traffic is commonly periodically generated by applications. However, it is not necessary that every BG traffic flow is periodic, hence the periodicity analysis based approaches cannot detect non-periodic BG flows. This paper also discusses the capability of applying a machine learning based classification method whose training dataset is collected from the results of the PDM method to solve this issue. 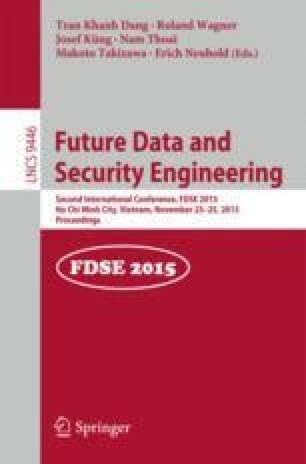 Evaluation analysis and experimental results reveal the effectiveness and efficiency of the proposed approaches compared to the conventional methods in terms of computational costs, memory usage, and ratio of BG flows detected.